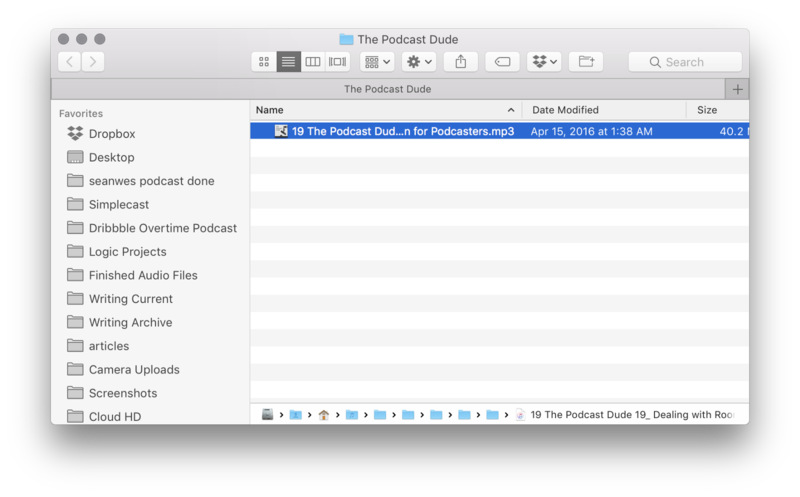 When people download your episode’s MP3 file, you’ll want them to be able to see details about you and the show instead of an MP3 file with just a file name. Tagging an MP3 is simply adding additional information to it, such as artwork, the episode title, host names, and more. Back in the day, tagging was really important because most people listened to podcasts on their computer or iPod. Remember transferring episodes of Radiolab from your computer to your iPod Classic so you could listen on the way to work? 2007 anyone? If you didn’t tag the MP3 file for each episode, your listener would be missing important information about you and your show. 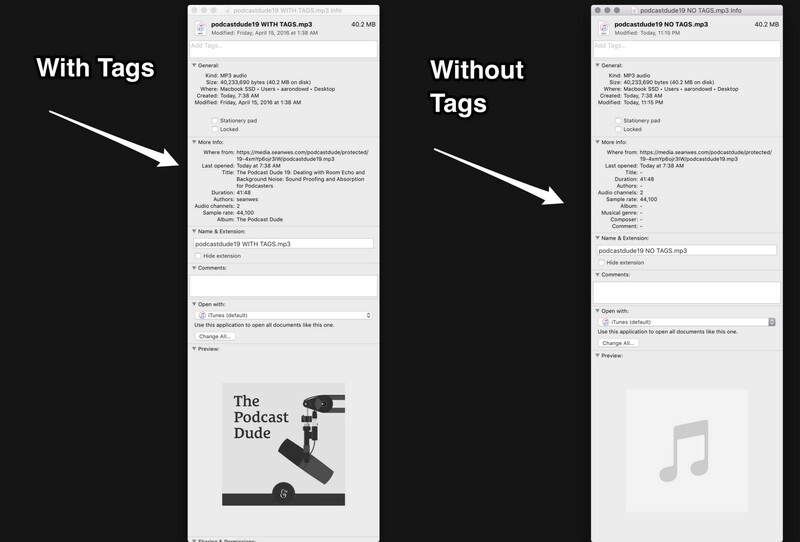 These days, popular podcast apps like Overcast and Apple Podcasts pull a lot of that information from your RSS feed, so while it’s not the end of the world if you upload an MP3 file that hasn’t been tagged, you should still tag your files. There are still listeners who download MP3 files to their computer or iPod after all. After you’ve exported an MP3 file from your audio editing software, you have a few options for tagging it. Personally, I use Tagr for Mac OS. It does cost $8.99 but it makes it super simple to add the right tags to your mp3 file. 1. Download and open the app, then click and drag your MP3 file and drop it on the app. 2. After you add the tags and hit save, you’re ready to upload your MP3 file to your podcast hosting service. Now you can be sure that if someone downloads the MP3 file from a server later, they’ll see all the proper information about your show. 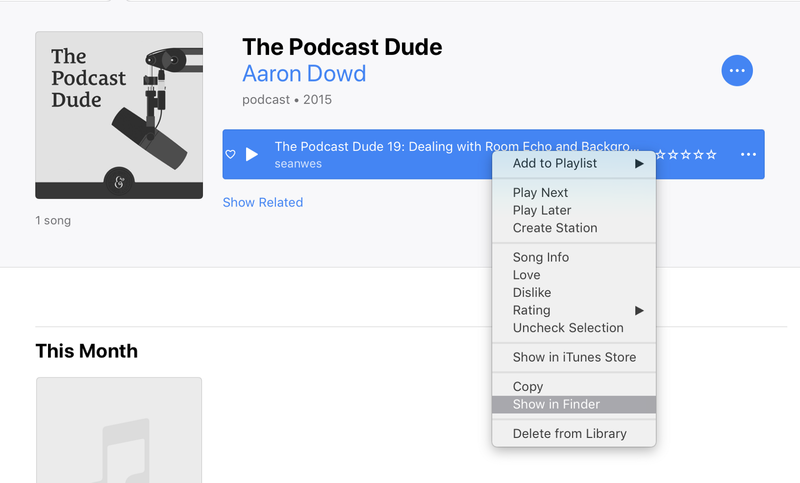 If you don’t want to pay for software to tag your MP3 files, tagging your podcast episodes with iTunes is a suitable alternative. 1. Drag and drop your un-tagged MP3 file into the Section right underneath the Music tab. Make sure you’re in your library too. Music dropdown, Library center tab. Memorize it. 2. After that, you’ll right-click or two finger tap on your podcast file that you just added. You might need to search for the file name if you don’t see it. From the pop up menu, select Album Info. 3. 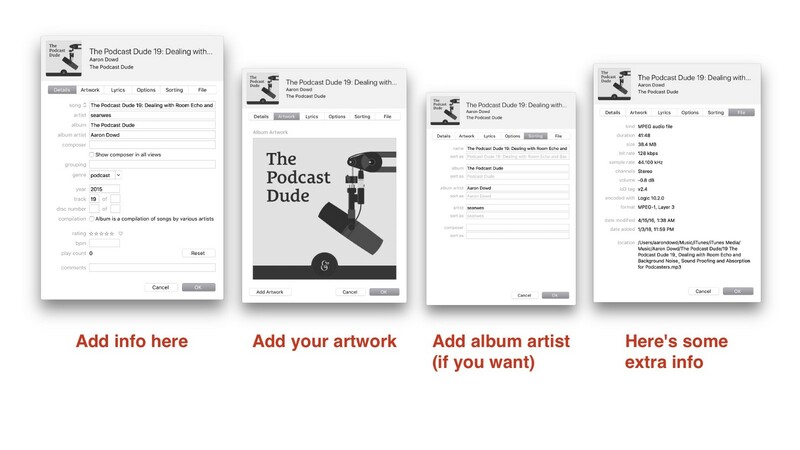 Add all the information you would like to include, in addition to your your show’s artwork, and hit OK. For IAB compliance, make sure that your artwork's image size is less than 300kB. Learn more. 4. 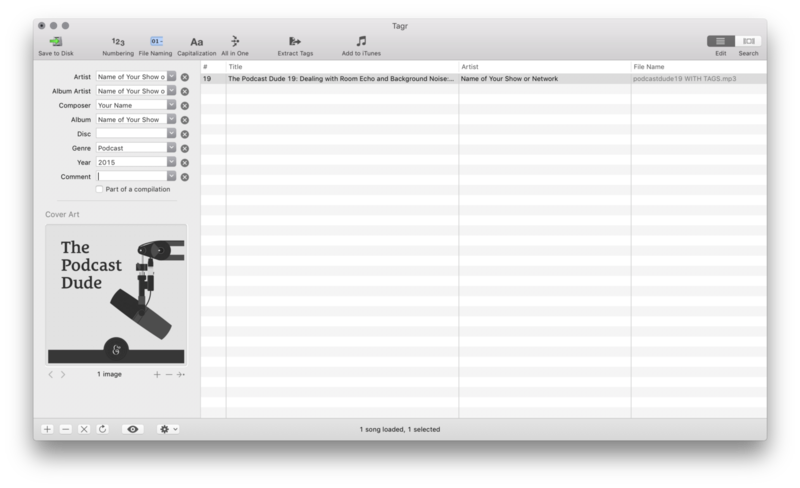 Next, right click on the name of your podcast episode and select Show in Finder. 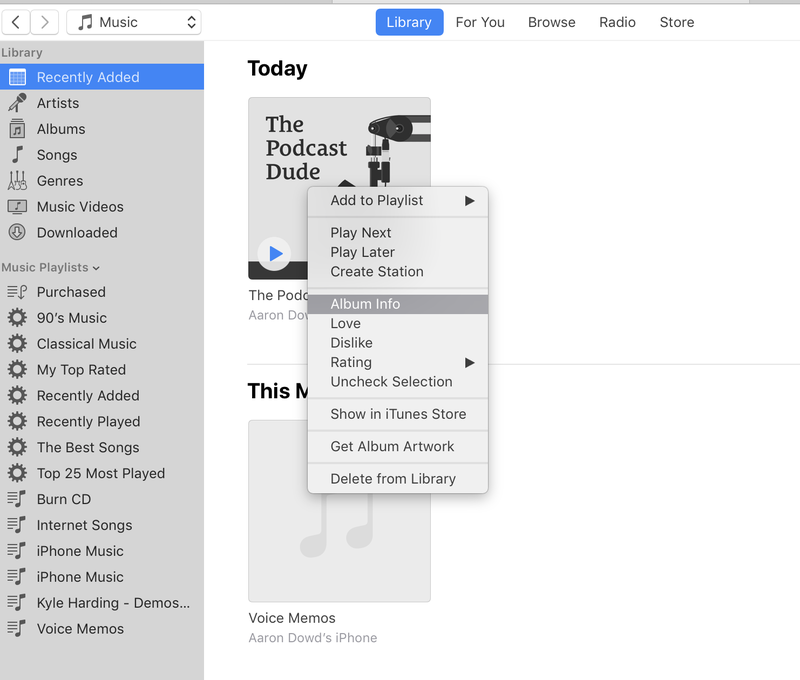 If you have “Copy filed to iTunes Media folder when adding to library” selected in the Advanced tab in iTunes settings, iTunes will make a copy of your MP3 file. The file found in your Finder window is the one you’ll want to upload to your hosting service. 5. Grab that tagged file and upload it. And that’s about it! 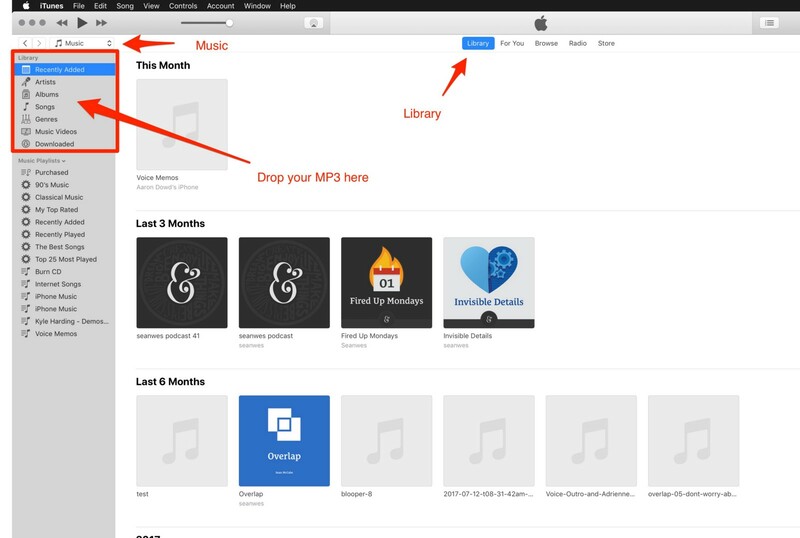 The process is very similar with Windows computers, but you’ll need to either use iTunes or another MP3 tagging app. Here’s a list of the top 6 programs for Windows. Still have questions? We'd be happy to answer them. You can start a live chat with someone from our team by clicking the bottom right icon on this page.